You spoke, we listened and made enhancements. You now are able to advance through the accreditation process at a pace that is right for you. No more complex cohort dates to calculate. Instead, you can advance anytime within the timeframe allotted for each step. Pay attention to the timelines as we transition to this customer-centered method. The Accreditation Portal is here! 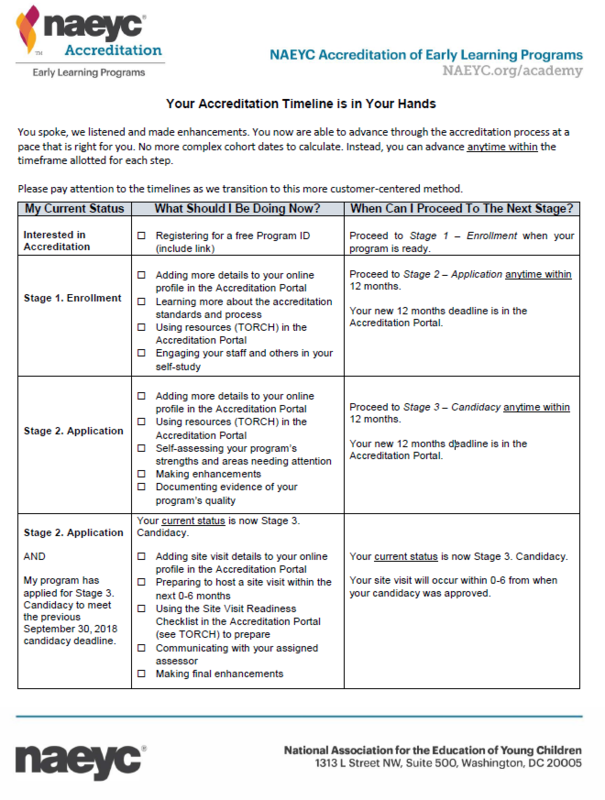 Learn how this change will affect your programs accreditation timelines.